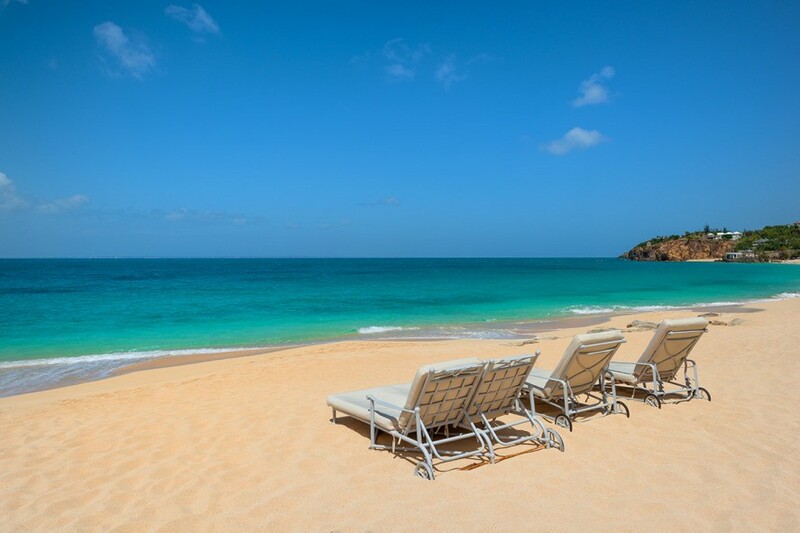 St Martin has over 35 stunningly beautiful beaches for you to choose from. Each beach is unique and each one something to offer from peaceful unspoiled pure white sand and calm turquoise waters to the more lively beaches such as Maho. From surfing to scuba diving, windsurfing to sun bathing, eating in trendy restaurants to a barbeque on the beach, St Martin offers activities for every taste. In general it is worth noting that the beaches to the west and southwest are calmer facing the Caribbean Sea then the Atlantic side and also that many of the beaches say swimming costumes are not obligatory. Terre Bases is a luxurious residential community located on the Western end of St Martin just past Simpson Bay Lagoon. The gated community houses some of the most luxurious villa rentals in St Martin. Terres Basses also features some of the best beaches in St Martin. 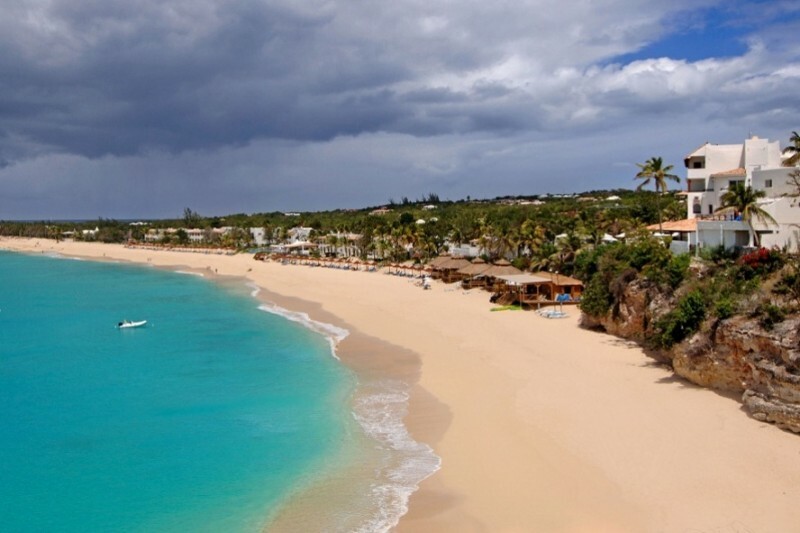 It is home to three of the most stunning St Martin beaches including Baie Rouge, Plum Bay, and Baie Longue. Baie Rouge is one of the nicest St Martin Beaches and is located on the west coast of the island in Terre Basses. The beach is one of the most intimate and quiet and is perfect for enjoying a morning walk along a large stretch of almost deserted sand. Baie rouge is aptly named as a result of the pinkish coloured sand you will find there. 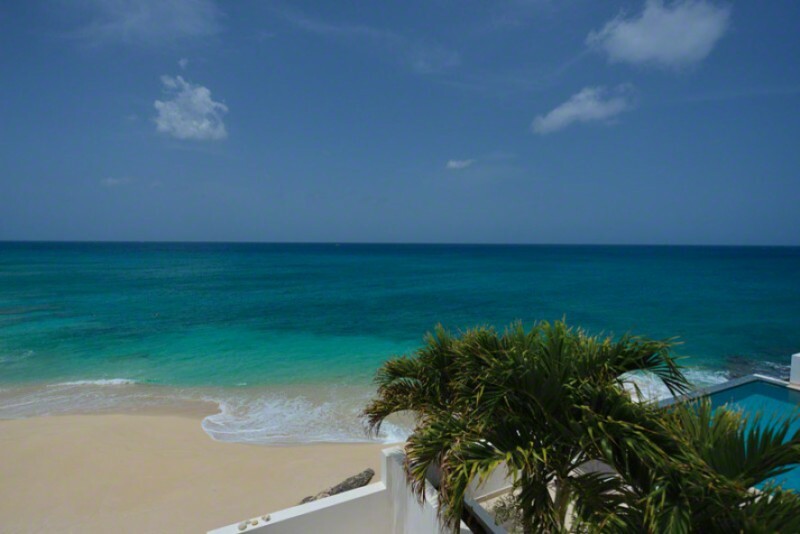 The beach offers wonderful views of Anguilla in the distance as well as the cliffs that protect the beach on the west. 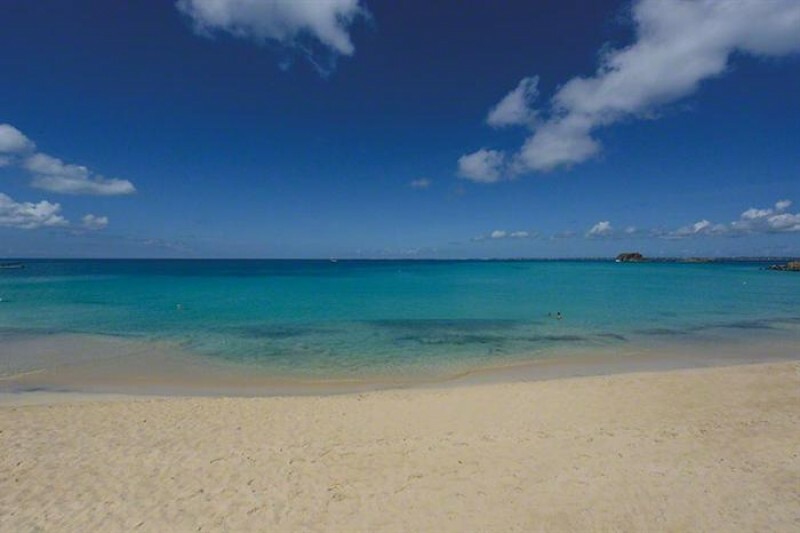 Baie Rouge Beach in St Martin is perfect for swimming snorkelling and also bird watching. There are two beach bars located on Baie Rouge. You can choose between Gus' Beach Bar and Grill which has great fish and Chez Raymond. There is also parking available at the entrance and beach chairs and umbrellas are available to rent. Plum Bay or Baie aux Prunes in Terres Basses St Martin is a wonderfully secluded beach near to Long Beach, where surfers love to play. This may be one of the most romantic beaches on the island with azure waters and provide privacy, especially throughout the weekdays. The beach here has golden sands however the water is better for surfing than swimming. In calmer seas it provides the perfect setting for snorkelling; but it can become an adventurous playground for experienced surfers during a swell. 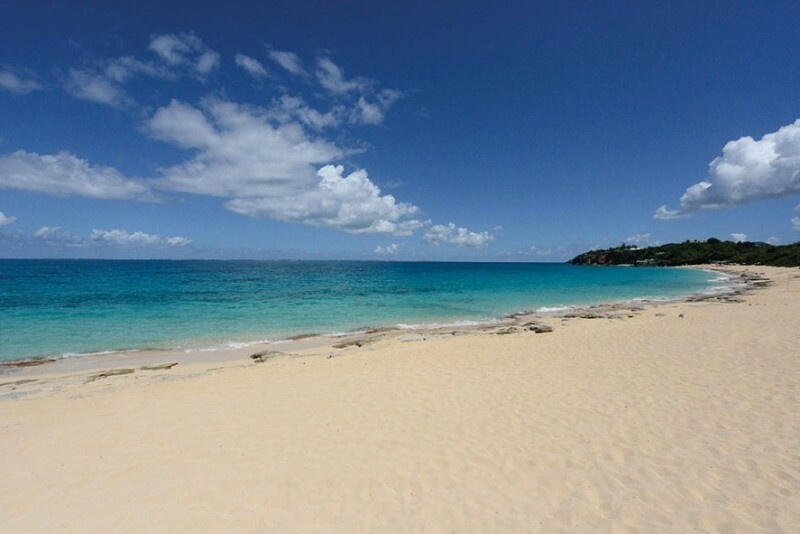 Baie Longue, is one of the best loved and most well know beaches in St Martin. The beach is be the most chic and is home to some of the most luxurious St Martin villas. Baie or Long bay is where the rich and famous often go on vacation, and is home to the famous La Samanna hotel. The beach is certainly one of the best beaches in St Martin. It is a truly stunning beach comprising of two miles of white sand and beautiful turquoise waters. Baie Longue is perfect for swimming, sunbathing and snorkelling. Petit Plage beach is a quiet beach with crystal clear water and white sands located on the Northern part of Grand Case Village which is also the gourmet capital of St Martin. The streets of grand case village offer an abundance of nightlife, local bars and some of the best restaurants in St Martin. A top choice would be Ocean 82 by the sea for some of the most amazing and freshest fish and Il Nettuno a charming Italian restaurants overlooking the ocean. Cupecoy Beach is located on the dutch side of St Maarten. The beach here is unpredictably but can provide lovely golden sands however due to weather conditions the beach here can disappear and become rocky at times. 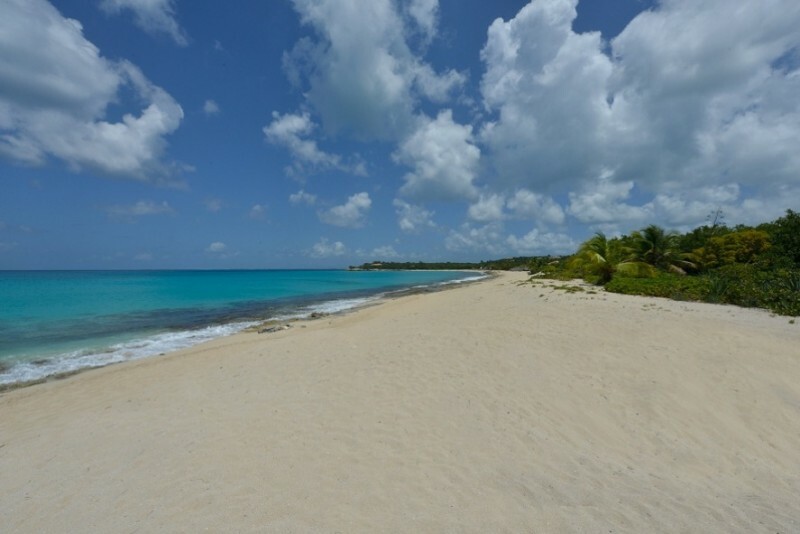 Located in the south west of the island Cupecoy beach comprises of a series of lovely coves. It is lined with beautiful rock formations and caves. You will also find beautiful sandstone cliffs set back from the beach. We have a wonderful selection of St Martin villas and condos here. On the western end of the beach, clothing is optional and over the past couple of years, Cupecoy Beach has developed into a meeting point for naturists.